Tuition - $120.00 plus lamp mold, glass and other materials used in lamp construction. The fee does include 2 tools necessary for the design portion of the class. Prerequisite - completion of a Tiffany Reproduction lamp with Dr. Archer. 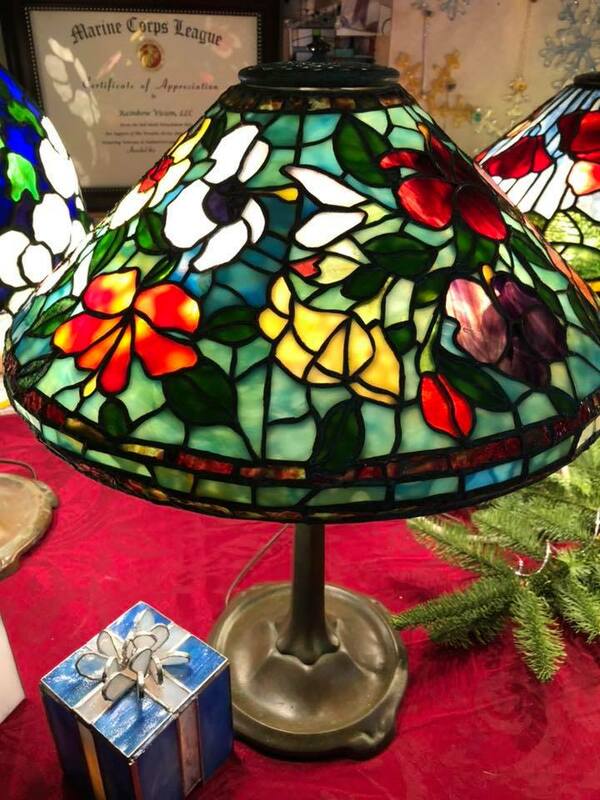 In this class, students will learn how to design their own shades and construct them using the Tiffany lamp method. 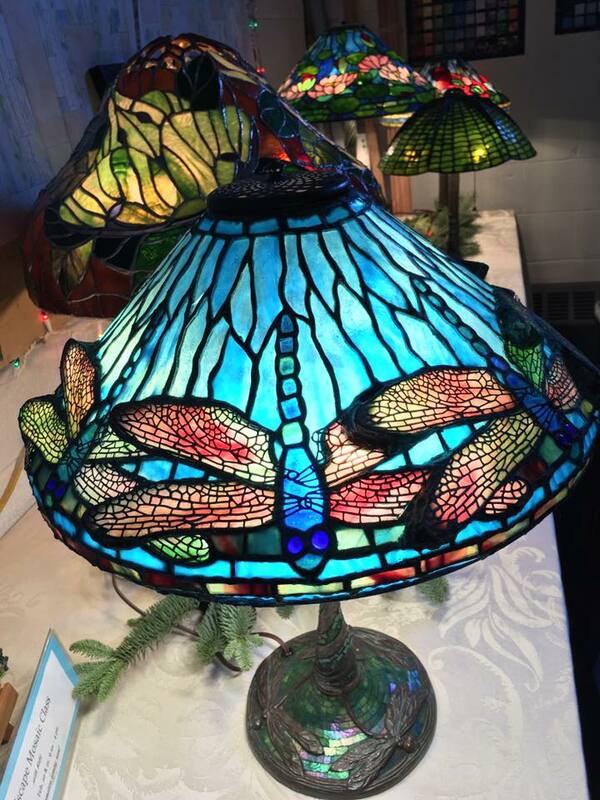 Dr. Hugh Archer , an authority on Tiffany Lamp Shades, has been building authentic Tiffany reproduction lamps for 25 years. His attention to design detail as well as the utilization of precise colors & styles of glass, make his shades among the finest available. Dr. Archer consults with the Youghiogheny Art Glass Company as they strive to create the same old-style glass that was made in the Tiffany factories in the early 1900’s. His exquisite shades are offered for sale at numerous fine shops and galleries. For the first time, we are taking advantage of his generous offer to impart his skills to our customers by way of an eight session Tiffany Lamp Course. Class one will be devoted to an overview of the entire process and the selection of your lamp design. Numerous designs will be recommended in the 14"-20" range and with a moderate degree of intricacy. These Odyssey forms range in price from $75-$150 and we will be offering a 20% discount on forms. Lamp Hardware including any jewels, filigrees, rings and and special order glass you select will be discounted 15%. Finally if you choose to purchase a reproduction base to complement your shade, we will offer you a 25% discount. Students will also need to purchase their lamp forms and other materials. Classes will run from Noon to 2 PM on the dates listed below. Extensive stained glass experience is required for this class. If you are interested in this course, please call the shop for additional information on upcoming dates. Due to the limited number of students accepted into this class, registration and payment of the class tuition are necessary to reserve their place. Please call the shop at 717-657-9737 to register. A Tiffany Lamp shade should be part of your stained glass legacy, and this is a rare opportunity to be guided by an expert. Class size will be limited so be sure to register early.